Marie Williams, 47 has been practicing for 22 years. She has been a community activist for more than 28 years. Marie attended public schools such as Lawrence D. Crocker Elementary, Henry W. Allen Elementary, Sophie B. Wright Middle School and McDonogh 35 Senior High School. Marie is a mother of two wonderful kids, two supportive parents and six brothers. Her parents do not have college educations and Marie is the only lawyer in her family on the maternal and paternal sides. However, her parents always instilled in her to get an education, help the less fortunate, work hard, respect others and yourself. Marie is a former Administrative Law Judge, legal aid attorney and Honorable official of the Orleans Parish Democratic Executive Committee. Marie is a graduate of The National Judicial College, Loyola School of Law, Xavier University and McDonogh 35 High School. Marie’s legal career began in the area of complex litigation with the Law Firm of Daniel E. Becnel & Associates. In 1996, she worked on consumer rights cases that forced entire industries, such as the Tobacco and Breast Implant manufacturers, to correct the way they conducted business. Thereafter, she turned her eye toward public service, as a legal aid attorney doing public service work for low-income persons, disabled persons, and homeless individuals, fair housing, civil rights and Service Employees International Union Local 100 work. Marie is active in the community, a current member and former board member of the League of Women Voters, AIDS Law and other organizations. From 2005-2010, she served as a Louisiana Disciplinary Hearing Committee Board member. Marie Williams worked as a partner with Peter Brigandi at the Brigandi Law Firm where they handled civil and criminal cases. They conducted jury trials and one where the largest judgment 90 million dollars was given in Civil District Court. In 2010, Marie was honored, along with Leon Cannizzaro, Jim Letten, Federal Judge Lemelle and other city judges and attorneys, by the CityBusiness Leadership in Law for her legal professionalism and community service. Marie is a mother of two children. She has been a public speaker at many college, high school and elementary school events. She was also a UNO professor at the paralegal school where she taught successions preparing paralegals for their exams. Marie has received many awards and certificates for her service to the community. 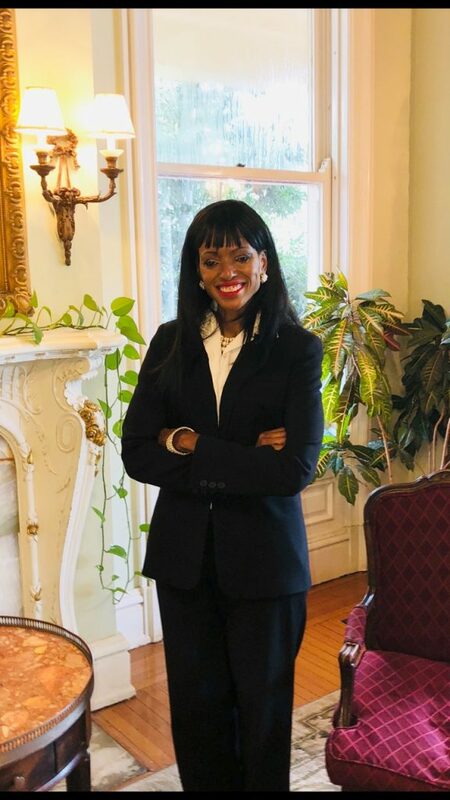 She has also volunteered and served on many Board and given her time to social organizations Juvenile Teen Court, the homeless who are arrested for loitering, homeless women leaving abusive relationships, children and indigent criminal defendants. Marie is a woman of integrity who believes in justice for the people.